Don’t put clean oil in a dirty engine. If you drive your vehicle in any of the following extreme conditions, your vehicle’s working components become contaminated. 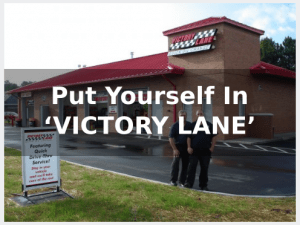 Extend your engine life by removing abrasive wear metal and dirt particles with a Victory Lane Performance Products Oil System Cleaning today!